Lately we can not ignore the importance of remakes, large companies have decided to go for the exit of their best titles for relanzarlos past the market, with the necessary fine-tuning to adapt to the times of today. Today we bring you a perfect example of this with an analysis of Tony Hawk's Pro Skater HD , a game developed by Activision and Robomodo that collects in the form of remake the best elements of the title Tony Hawk's Pro Skater 1 and 2, big titles who introduced skateboarding genre on consoles over a decade. Discuss the skate genre on consoles would not be possible without the appearance of Tony Hawk's series, developed by Activision and Neversoft team. The release of their first game in 1999, legions of young were marked with its modern style and challenging gameplay: we had the opportunity to perform the best tricks of our favorite skaters by a large number of scenarios, always with an great soundtrack. The success of the game showed great potential and both the public and the critics demanded more. However, over time the series Tony Hawk's not accompanied by the success of their first titles. With THPS 3 still showed interesting proposals and the emergence of reverts, who managed to link tricks scores of scandal, but the gameplay was first affected by a physical too spectacular (our skaters could perform great acrobatics and scale huge walls through impossible wall rides). Aspects that were getting worse with the latest titles in the series, until the complete failure that led to Tony Hawk's Ride , a failed attempt to join the franchise of selling useless fashion peripheral nonsense. Fortunately, this summer we have the HD remake all fans of the series expecting a new title that recovering the best elements of THPS 1 and 2 that marked our memories. Efforts serve to revive the magic of his first deliveries? Any fan of the first deliveries admire the first elements to start the game. Under a simple menu and return cash to make available many of the elements that made ​​the franchise great: The choice of the most recognized today's skaters to perform tricks for their wildest scenarios available in a complete game modes. Career Mode: The interesting career mode returns to challenge us to complete all elements of each scenario: some common, cross boundaries and scoring, the letters SKATE DVD or other specific secret and where we have to perform specific tricks in certain places in each stage. Gameplay of the most complete you will need a few hours of play to complete, depending on our skills. Survival mode stubborn: A fun and original way, where your character will have his head bigger and bigger over time until it exploded in a cloud of confetti. The only way to reduce it is to the achievement of numerous and fast tricks, a whole race for the score and survival of our skater. For those who are understood in this model of games, know that the most important is the gameplay. It is worth noting that the scenarios are graphically wonderful and flawless if it comes to riding in skate 2 meters can not move without falling. In this sense, this title reminds all arcade spirit giving the possibility of a simple game, but for proper management and development requires great skill. One of the main details of the game is the typical choice of skater, where you can choose from 10 available to us with their different styles of movement and statistics, which we can grow and change with the money to go getting into the various ways game. However, one of the most striking details of the title, is the ability to choose our own avatar from Xbox 360 and skater and see as we glided through the scenes at full speed. When you start to skid is when the game shows its full potential, only four buttons needed to perform all specialties and learning is not at all complicated, achieving a fluid and dynamic management. However, for those who remember the previous ones, will realize the change in management of the skaters and a significant change in weight. But one of the most aggravating aspect is the new physics engine in the game. On the occasion of showing a more realistic falls and "painful", has implemented a physical at times give us some tricks and impossible situations as foster see our skater fly to the stars when it hit a curb or crawl through meters on the ground during a fall. These are aspects that hinder the gameplay enough to join the large number of bugs that contains the game. During our trip, it is not uncommon to be stuck between two soil textures, get to the limbo of darkness beyond the mapped or get stuck in an endless loop of falls. A section which necessarily should have been corrected if he had made ​​the correct title tested. Controversy aside, the game continues with some of the best elements of the past, and challenges of each scenario, the purchase of new special tricks for our skater or the appearance of cheats, tricks unlockable in the game to change the look of our skater limit or enhance your features. One of the main novelties introduced this title is the game mode on Xbox Live, where we challenge all skaters to accept our challenge in the network. Although many older fans of the series throw missed the split screen offline multiplayer, fun times we spend gambling online games with stubborn survival game modes, the former graffiti mode (where the highest score mark each element of the scenario) , Hawkman or relaxed freestyle to study the terrain. Without doubt this is one of the most benefit to the title, extending its duration in hours and causing hundreds of laughs to see the incredible accidents that can cause the skater to gather several in the same ramp. Graphically the game appreciates its new high definition textures. The work done by the Unreal Engine 3 gets some nice results to adapt the title to this generation of consoles. The changes will be much more significant for those who have played previous versions, you will appreciate a new texture mapping much more detailed and the disappearance of fog in the distance caused by the lack of power in the old consoles. And as I mentioned, our trips and falls will be much more spectacular thanks to the amazing shots and trails of blood that we will be leaving on the road. An enhanced graphical appearance overshadowed by the flaws in the gameplay of the title. As a big fan of his first deliveries, had high hopes for this new remake of Tony Hawk's. It is true that the game seems quite acceptable to those who have not enjoyed the title, but the gaps in its gameplay is too apparent over time. Furthermore, the lack of scenarios and the level editor is undoubtedly one of the aspects that are missing. However, already have announced the development of several DLC's for the title, where new features will be implemented, after checkout. Tony Hawk's Pro Skater HD is a great skateboarding game that will appeal to many of the most veteran gamers, simple and addictive gameplay manages to take the price of 1,200 DM (about 15 €). Has certain drawbacks, however apart from their gender specific as the ups and downs of his new physics engine and still shows far from showing their skills competition in the title Skate. It's here the extra long version of the Nintendo 3DS, with all the latest elements of the original console and many more, noting especially its size, much larger than the previous model. The console is distributed by the Japanese company in worldwide, with official release date on our continent on July 28 at a suggested retail price of $200 , designed for users who already have the first model in 3DS for the uninitiated portable game in three dimensions . It was one of the few consoles that have not had an official announcement in one of the fairs as E3 or Gamescom games, but their advertising has been following them. In fact pointed to rumors that Nintendo would announce a new handheld model, with improvements or additions as the Circle Pad accessory, necessary for some of the latest games. Nintendo denied such an announcement, and days after the end of the E3 2012, the president of the company Nippon, Satoru Iwata, announced the XL model. Those who have played with the XL version of the Nintendo DS will not see at first glance nothing new to get their hands on 3DS XL, as the proportions are almost identical in all respects, except that we now have the latest 3DS, noting especially the stereoscopic display, which now has much larger dimensions allow us to see the games more widely, without compromising image quality by having to escalate to this new screen. After a long game with several games and 3D sound on, surprised the new battery, which will be noticed from the first moment we played. A pity he did not count with a charger since we acquired the notebook, which you will not notice if we have the original version and that will require extra expenditure which they had none, which means an extra six euros on the price of console. All data that make up the especificacionse techniques are just the same as the Nintendo 3DS with a slight increase in them, but making more out of space to increase the screen size up to 90%, ie almost twice its original version. Weight, 336 grams with its dimensions (156 x 93 x 22mm) makes the DS is "less portable" than the first 3DS, but continues its role as the console pocket perfection, as it may still be hole in our pockets to play wherever they want. 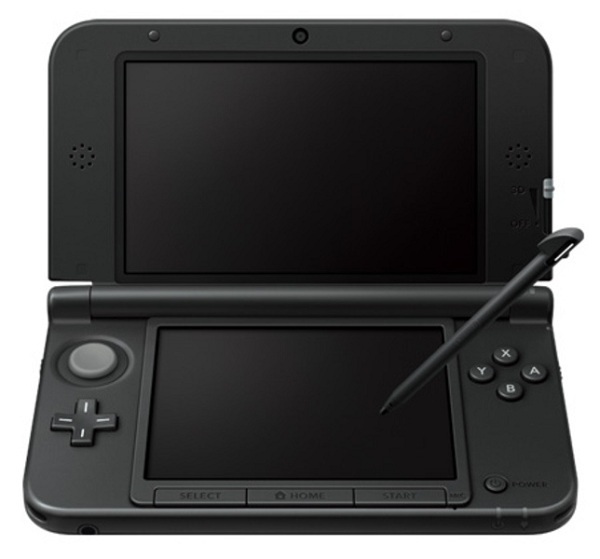 The button configuration is exactly as in the vast majority of DS consoles family, along with the 3DS slider that makes the work with the joystick and stylus, stylus for touch screen, whose appearance resembles more now to the classic DS Stylus XL to 3DS. The button layout compared to the location of the screens has been slightly modified, adapted to the new dimensions, in addition to changing the form of press them, such as the cross, which now boasts a more ergonomic allowing lasting more and that we need not press it increasingly harder to continue to enjoy our games with a more classic touch controls. A new button in this XL version of the notebook, allowing us to enable or disable the 3D effect of the upper screen with one touch, which previously required to be constantly adjusting the 3D depth is now at the touch of a button, a simple but useful improvements. As for the battery, we have up to six hours of 3D gaming and up to ten hours in 2D games or the classic Nintendo DS, which represents a slight increase in playing time and independence of the console, which only possible by increasing the size of the notebook. 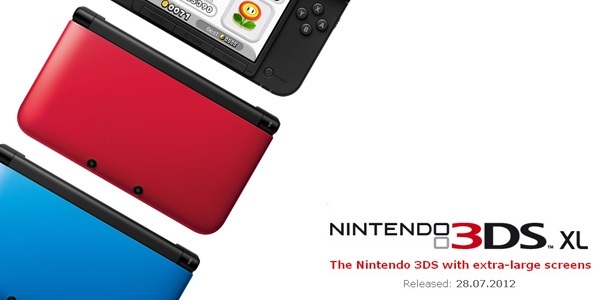 Like its predecessor, offering connections 3DS XL are based on two technologies: WiFi and StreetPass. The first is the classical connection to access points or routers so that we can access the console's online store, eShop as to the various online tools that incorporate much of the catalog of Nintendo DS and 3DS. Also, thanks to our console SpotPass be kept updated at all times, even in "standby" mode (with the console closed, but off), automatically making small connections to the network to check if a new update is out for both the console and a game. StreetPass is a utility created by Nintendo for the Nintendo 3DS to connect to each other whether we are playing as if we have it in standby mode, exchanging information. This information depends on the games that we used and we have activated to send and receive information through StreetPass, such as player cards, avatars or objects of different interchangeable titles. The transparency of this service allows us to connect both consoles like 3DS 3DS XL, so that all owners of the notebook, in any version, will have full access to it. 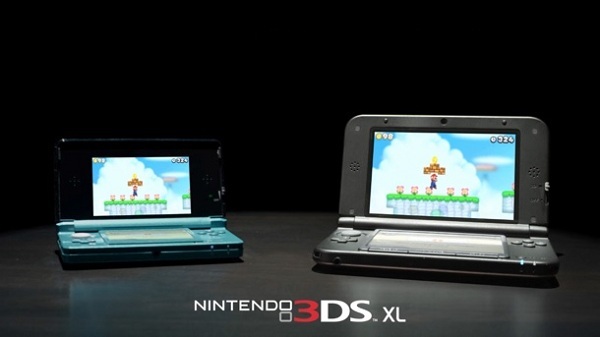 Being a console whose concept is based on two previous models, 3DS XL does not offer much innovation except that both Nintendo DS and Nintendo 3DS XL offered at the time. The combination of both laptops and the ability to watch games 3DS in three dimensions with a screen almost twice as large are the only two highlights in this section. 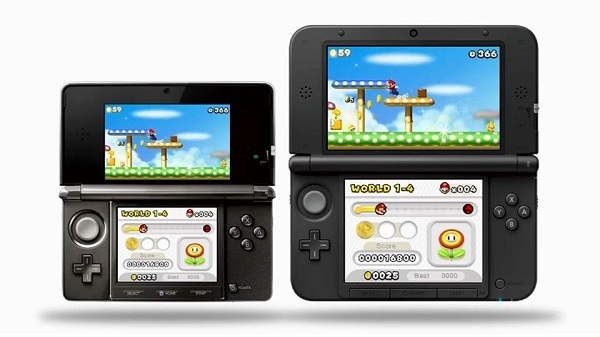 Despite the new size of Nintendo 3DS, the console is still comfortable to use. The material makes it look and feel more plastic, but give us a sense of comfort, especially when using the traditional controls, let alone the Stylus to use this console, more practical. The size and weight of the console will increase slightly but the convenience is not lost at any time. He also notes that the stereoscopic display, but is larger and can tire the eye, extends much even the smallest details of the games, so you will not have to set both the eye when having to pay attention to each element appears in the game. The yield is the same as offered in their games Nintendo 3DS, with options for backward through Nintendo DS cartridge and through the eShop digital bazaar where we can find many classic titles of the company Nippon. 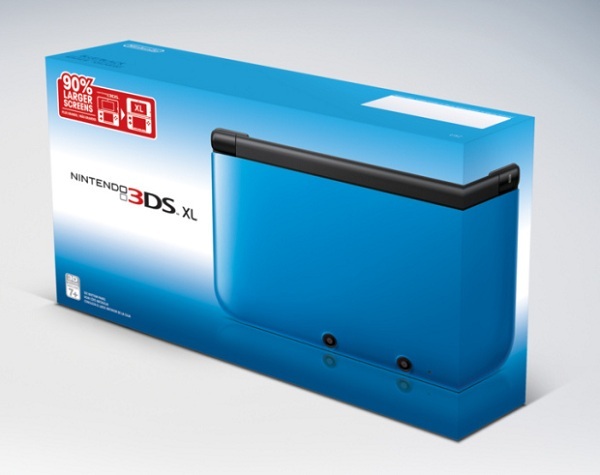 Except for the 3D effect in regard to graphics, there is a revolutionary console, being only slightly higher than the predecessor of the original 3DS, DS, since it is a more innovative console in the gameplay, and with this model in three dimensions. In any case and as a result, games are not very demanding in terms of visuals and the console will work smoothly and without any problems. Whether we 3DS holders or not, the purchase worth it, as the display in three dimensions with this new screen really worth while keeping all advantages of a portable console. All of our games will look much better in its two new screens, with a greater immersion in the 3D effect without distorting the image or magnify the size of the pixel, which has given much to talk about weeks before the launch of the console. The main weaknesses of the console are the lack of a battery charger to acquire and the inability to use the Circle Pad accessory for many of the games and put on the market, which Nintendo fix "soon" as has been discussed. In general, it costs almost $ 200 console and will not be worth it unhappy with the purchase, especially for the catalog of games we have available for it.